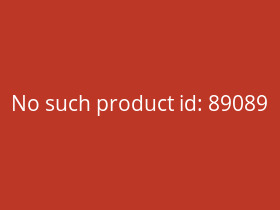 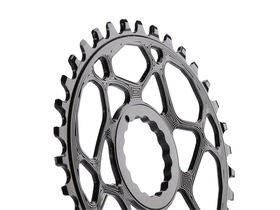 The matching oval Direct-Mount chainrings for the Shimano XTR 9100 and 9120 cranks . 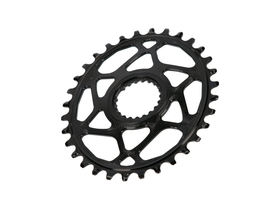 Absolute Black chainrings are CNC machined from one piece of aluminum and then anodized, resulting in an extremely stiff and durable chainring. 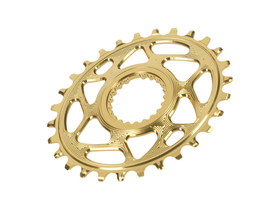 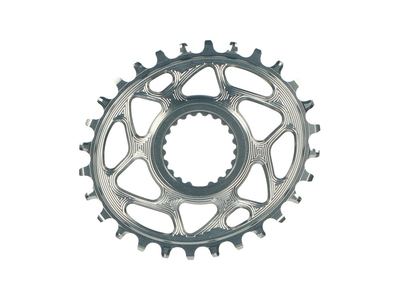 The chainrings have special teeth that prevent the chain from jumping off prematurely. 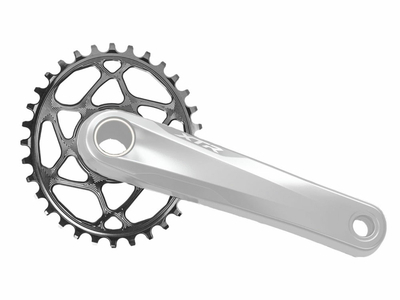 The principle follows that of the SRAM chainrings with X-Sync teeth. 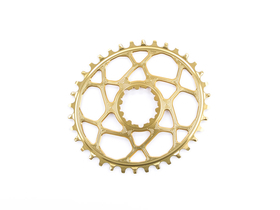 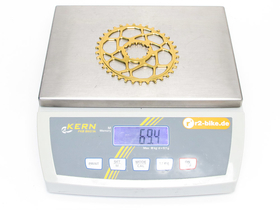 With an off-set of 51 millimeters, the chainrings are suitable for both 142 millimeters standard and 148 millimeters BOOST rear wheel hubs. 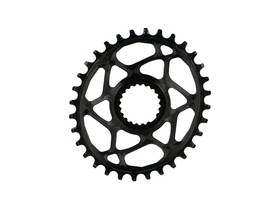 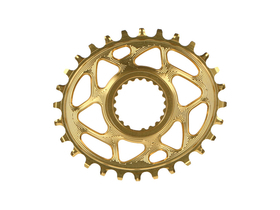 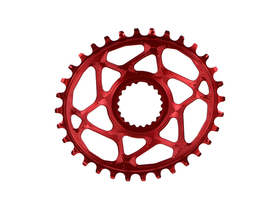 The ovalization of the chainrings increases performance through driveline variation and drag optimization. 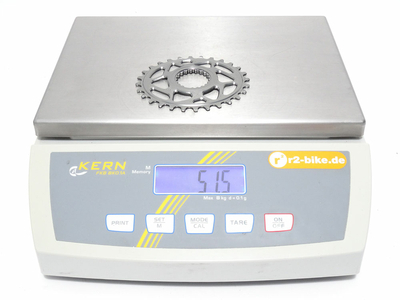 When pedaling with the legs, the natural strengths and weaknesses are reconciled. Thus, a better use of the stronger muscle groups is achieved and in the weaker muscles a balance in the working path (lower stroke) created. 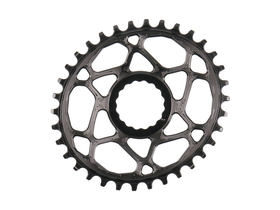 NOTES: The sprocket teeth are specially designed for the Shimano XTR 9100 Group and only work with the Shimano CN-M9100 chain. Contrary to the picture, the chainring is delivered in gray.